Pastor Wilson Lim is founding pastor of the thriving Hope Church Brisbane, currently serving as HIM International Elder and oversees Hope churches in Oceania. He holds Bachelor and Doctorate degrees in Civil Engineering from Monash University and was previously a research scientist with CSIRO. He also holds a Masters of Theology from the University of Manchester. He serves as director in Australian Care and Trauma Services and formerly in an interdenominational Bible College. He is recognised for his balanced, in-depth teaching and engaging-style of expository preaching. His passion is teaching, equipping leaders and building the church. 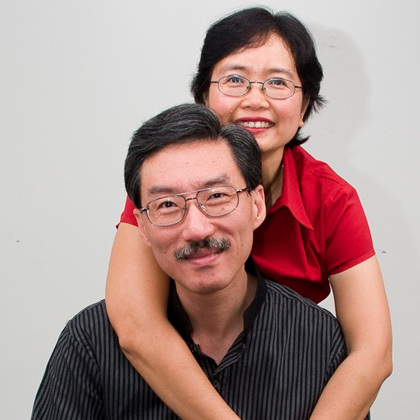 He is happily married to Lai Ling who complements him in ministry with her passion in the areas of prophetic, intercession, pastoral care and counselling. They have three children Paul, Daniel and Deborah. Pastor Ian Foley is the Senior Pastor of Hope Melbourne. He has been married 40 years (as at February 2014) to a wonderful wife, Daisy and has two fantastic girls who recently married two fantastic guys. Both Ps Ian and Daisy have been in the academic world most of their adult life, Ps Ian as a lecturer in Computer Science after doing a Physics Ph. D. in atmospheric Physics and Daisy as a teacher. They began leading the Waverley Centre at the end of 1999, and since that time the Melbourne church has grown from two centres to four and to about 400 people in total. Ps Ian has a passion for revival and God’s people laying down their life for Jesus. He also is a prophetic teacher with a passion for truth and rightly dividing the word of God, with strong perspectives on understanding the world today and to be prepared for what is coming on the world. He is excited to be alive today, to witness the most amazing period in the earth’s history. Pastor Brendan Kirby is the senior pastor of Hope Adelaide Christian Fellowship. Brendan became a Christian in 1984, and joined Hope Melbourne in 1991. In the 80’s Brendan trained in physics at The University Of Melbourne, and graduated with a PhD in Applied Nuclear Techniques of Analysis in 1989. Since then he has worked as a post doctoral fellow and research scientist for about 23 years in various government research organizations. 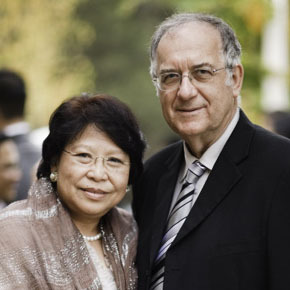 He married Helen in 1994, and in 1998 they moved to Adelaide plant the Hope Adelaide church. Brendan is passionate about building and planting churches, and to see Christians fulfil their potential in God. He oversees churches in South Australia and Western Australia, and assists in overseeing over 60 churches in Liberia and Democratic Republic of Congo under Hope International Ministries. He is currently building relationships with a number of pastors and two groups of churches in India.